The completeness and the accuracy of the Brest sea level time series dating from 1807 make it suitable for long-term sea level trend studies. New data sets were recently discovered in the form of handwritten tabulations, including several decades of the eighteenth century. Sea level observations have been made in Brest since 1679. This paper presents the historical data sets which have been assembled so far. These data sets span approximately 300 years and together constitute the longest, near-continuous set of sea level information in France. However, an important question arises: Can we relate the past and the present-day records? We partially provide an answer to this question by analysing the documents of several historical libraries with the tidal data using a ‘data archaeology’ approach advocated by Woodworth (Geophys Res Lett 26:1589–1592, 1999b). A second question arises concerning the accuracy of such records. Careful editing was undertaken by examining the residuals between tidal predictions and observations. It proved useful to remove the worst effects of timing errors, in particular the sundial correction to be applied prior to August 1, 1714. A refined correction based on sundial literature [Savoie, La gnomique, Editions Les Belles Lettres, Paris, 2001] is proposed, which eliminates the systematic offsets seen in the discrepancies in timing of the sea level measurements. 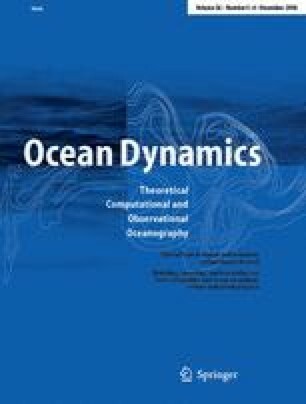 The tidal analysis has also shown that shallow-water tidal harmonics at Brest causes a systematic difference of 0.023 m between mean sea level (MSL) and mean tide level (MTL). Thus, MTL should not be mixed with the time series of MSL because of this systematic offset. The study of the trends in MTL and MSL however indicates that MTL can be used as a proxy for MSL. Three linear trend periods are distinguished in the Brest MTL time series over the period 1807–2004. Our results support the recent findings of Holgate and Woodworth (Geophys Res Lett) of an enhanced coastal sea level rise during the last decade compared to the global estimations of about 1.8 mm/year over longer periods (Douglas, J Geophys Res 96:6981–6992, 1991). The onset of the relatively large global sea level trends observed in the twentieth century is an important question in the science of climate change. Our findings point out to an ‘inflexion point’ at around 1890, which is remarkably close to that in 1880 found in the Liverpool record by Woodworth (Geophys Res Lett 26:1589–1592, 1999b). We are particularly grateful to Monsieur Littoux (Direction des Travaux Maritimes, Brest) for the visit of the Bassin de Brest and his precious explanations on historical, technical and practical aspects of the basin since its construction, in 1782, to present. This work was partially funded by Conseil Général de Charente-Maritime (Ph.D. fellowship) and by the French groups GRGS and GDR-G2 (mobility support to investigate a large number of historical libraries).